With the first generation of Ethernet enabled devices, settings and firmware updates had to be manually applied. Some of the settings were on the hardware itself in the form of dip-switches. With later versions most of the settings were done with software. The next generation of devices came with web browsers built in. Software updates and configuration of the devices could be done via the web. Nowadays wireless devices are configured over the air with firmware updates and configuration settings being done from anywhere provided there is an internet connection. 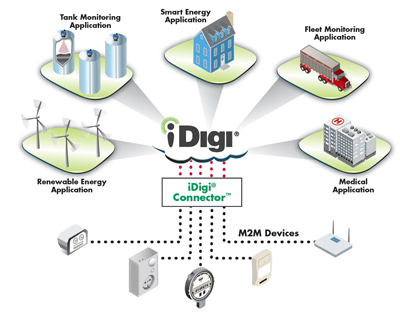 With the proliferation of internet enabled devices and the projection of billions of devices being connected together with the uptake of the ‘Internet of Things’, many companies have developed device management platforms to manage, update and keep track of devices. This platform is a cloud based software system. Users can log in, see devices status, remotely configure devices, troubleshoot and reset devices. Firmware and software upgrades are done automatically so hundreds of devices can be upgraded at once. Devices can also be configured so that status and error alerts be sent over the air (OTA). 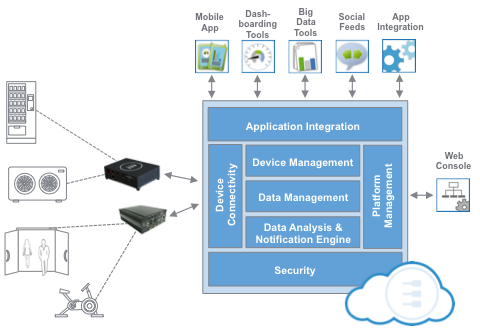 Connectivity – The platform should enable a seamless connection to the cloud. Management – You should be able to remotely monitor, diagnose and troubleshoot problems with wireless and wired hardware. Configure hardware and receive device status and error/low battery alerts. Data Processing – It should enable you to process, organise, store and transform machine and sensor data. API – Should enable rapid application development and integration with business applications using web services. In short be able to extend product functionality. At Atlantic Wireless Telecommunications all our devices have web functionality and are capable of being configured remotely. 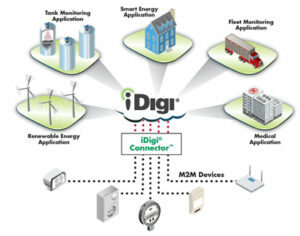 For M2M Communications and the Internet of things we use products from Digi International and Viola Systems both of whom come with a device management platform with the above functionality. Please contact us for more details.